The OnePlus 7 release date is expected in the next few weeks, and due to all of the rumors, we know so much about this phone and the OnePlus 7 Pro already. New OnePlus 7 leaks point to at least two phones that will compete with the best smartphones – especially the best Android smartphones – with a gaming-ready silky smooth screen that has a 90Hz refresh rate. OnePlus has even told us one core feature about its next handset: the OnePlus 7 will be one of the first phones to support 5G. But it may not arrive on its own, with rumors pointing to a OnePlus 7 Pro as well as the standard OnePlus 7. Update: OnePlus 7 will have a 'super-smooth' screen, according to its CEO, which hints at the 90Hz refresh rate. Plus, a near complete specs list has leaked for both the OnePlus 7 and OnePlus 7 Pro. Below you'll find everything that we've heard so far, and we’ll be sure to add any leaks and rumors on the OnePlus 7 to this page when we hear them. The OnePlus 7 will probably land sometime in the middle of 2019. The OnePlus 6 was announced on May 16, 2018, so a OnePlus 7 launch date of May 2019 is a possibility. That fits nicely with a OnePlus 7 launch date leak which pegs the device's arrival for May 14. That's a date that we've now heard more than once, even if the OnePlus 5 and OnePlus 3 arrived in June of their respective years. There's no word on the OnePlus 7 price, but the OnePlus 6T - the most recent handset from the firm – launched at $549 / £499 / AU$599 and prices have been gradually creeping up since the range began, so we’d expect the OnePlus 7 will cost at least that much if not more. If you want 5G though you might have to pay more. OnePlus has confirmed that it's working on a 5G phone and while it's not known whether the OnePlus 7 will support 5G, the company's CEO has said that its 5G handset will cost between $200 and $300 more than its next 4G device. The 90Hz refresh rate and 5G capabilities are where the OnePlus 7 Pro may come into place. We know the company is working on both a 5G and a 4G phone, so you should be able to get a OnePlus 7 4G phone if you're not up for paying so much. And in the US you might be able to buy it from a carrier, as this is something OnePlus has said it's looking into again. Last year's OnePlus 6T was available through T-Mobile if you didn't want to pay for the entire phone upfront and unlocked. We've seen numerous images seemingly showing the OnePlus 7, with the clearest look coming from the renders below, which show an almost bezel-free screen with a pop-up selfie camera, while the back has a triple-lens camera. You can also see this design in some renders from a case-maker. The pop-up selfie camera isn't visible, but a cut-out in the cases to make space for it is. These images can be seen below. Since then we've seen other photos, but these supposedly show the 'OnePlus 7 Pro', which according to another source is one of three upcoming models - the other two being the OnePlus 7 and OnePlus 7 Pro 5G. Since then we've heard more details about the possible specs of the OnePlus 7 Pro. According to a reliable source, the OnePlus 7 Pro has a QHD+ Super AMOLED screen with a 90Hz refresh rate. That makes it higher resolution than any current OnePlus handset and with a higher refresh rate than most phones from any company. A high refresh rate can make interactions feel smoother. 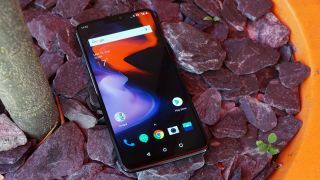 While this is the first we've heard of such a high refresh rate, it looks likely to be the case, as the CEO of OnePlus has also tweeted a teaser saying that the next product from the company will not just be fast but also smooth. The same source as those screen details above came from also says that the OnePlus 7 Pro has dual speakers, a 4,000mAh battery with 30W Warp Charge (a speedy charging tech), and a triple-lens rear camera, including both a telephoto lens and a wide-angle one. And another source has outlined some of the possible differences between the OnePlus 7 and the OnePlus 7 Pro. They also say that there are two rear cameras on the OnePlus 7, with one of them being 48MP. The OnePlus 7 Pro also apparently has a 48MP lens, but joined by two others - a telephoto one and an ultra-wide one. An even more complete specs comparison has now leaked too. According to this one the OnePlus 7 Pro has a 6.7-inch 1440 x 3120 screen with a 19.5:9 aspect ratio and a 90Hz refresh rate, a triple-lens camera with a 48MP f/1.6 lens, a 16MP f/2.2 wide-angle lens, and an 8MP f/2.4 telephoto lens offering 3x zoom. The selfie camera meanwhile is said to be a 16MP f/2.0 one. The phone apparently has a 4,000mAh battery, 30W fast charging, an in-screen fingerprint scanner and a Snapdragon 855 chipset, along with a choice of 6GB of RAM and 128GB of storage, 8GB of RAM and 256GB of storage, or 12GB of RAM and 256GB of storage. Finally, it's said to come in blue, grey and brown shades. The standard OnePlus 7 on the other hand is said to have a 6.4-inch 1080 x 2340 screen, a dual-lens camera with a 48MP f/1.7 lens and a 5MP depth-sensor, a Snapdragon 855 chipset, a 3,700mAh battery with 20W fast charging, and a choice of 6GB of RAM and 128GB of storage or 8GB of RAM and 256GB of storage. They also mention the OnePlus 7 Pro 5G, which sounds to have the same specs as the standard Pro model, just with 5G on board. That's believable, as the company has previously claimed that it will launch one of the first 5G phones this year. The OnePlus 7 isn't named, but that's possibly what they're talking about (though the company's first 5G-capable phone might end up being the next one released, the OnePlus 7T). A prototype of that phone has been shown off, complete with a Snapdragon 855 chipset and what appears to be a 21:9 screen - though elsewhere there are reports that the final device won't have a 21:9 screen, and nor will it have wireless charging. But it's entirely possible that the OnePlus 7 won't be the 5G-connected phone the company has been talking about. Sources said that the 5G device will be the first in an entirely new line, and another rumor hinted that it may start at $649 (or $100 more than the 6T). We've also seen possible case renders for the 5G model, which you can see below. We'd take these with a huge side of salt though, as they look more like the OnePlus 6T than most of the OnePlus 7 leaks we're seeing. They do look similar to some renders above, supposedly showing the standard OnePlus 7, but we'd expect the 5G model to be more in line with the OnePlus 7 Pro. We also have an idea of what colors the OnePlus 7 Pro at least might come in. Most images has shown it in black, which is very likely to be one option, but a couple of case renders have shown it in gradient color schemes. You can see these below - one goes from green to black to blue, while the other shifts from pink to black to purple. We'd take these with a pinch of salt, but they'd certainly help it stand out. Beyond all this, all models of the OnePlus 7 will probably have a glass back, since OnePlus only recently switched to glass with the OnePlus 6 and OnePlus 6T. It’s likely to also have an alert slider, since previous handsets in the range do, and it’s sure to have the best Qualcomm Snapdragon chipset available - the Snapdragon 855. Since the 6T got rid of the headphone jack, it's likely OnePlus won't bring it back for the 7. Not that we’d advise doing that in general with most phones, but knowing that it would survive if you did – or if you use it in heavy rain - could give some real peace of mind that you don’t get with the OnePlus 6, so we’d like to see this improved for the OnePlus 7. We don't think this is likely for the OnePlus 7, but you never know. After all, just such a camera has been rumored for at least one phone.